An automated waterpump system for farmers or any user needing it for filling tanks as well as for using water supply. 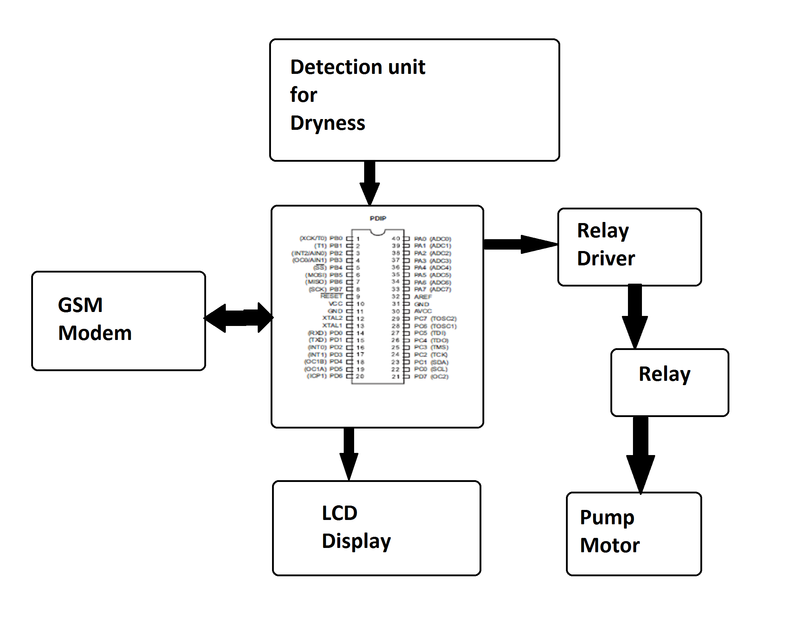 The system consists of a pump motor along with LCD and gsm modem controlled by a microcontroller. The system allows users to remotely switch on/off motor as well as the system consists of an automated water sensing system that automatically switches off the pump motor as soon as it senses that water supply has stopped and the motor is on a dry run. 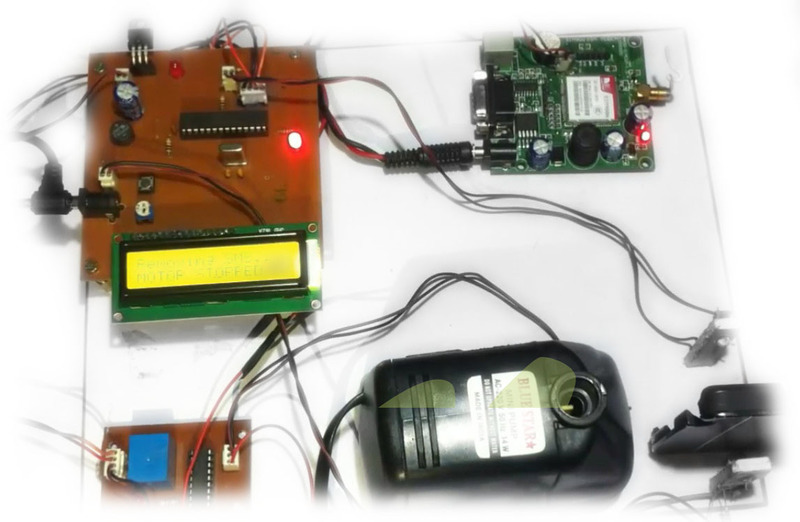 Our system uses a GSM modem to send and receive user commands and it then operates the pump motor based on user SMS. The system also consists of IR sensors to detect water flow through the pipe as long as water flow is detected through pipe the pump motor runs. As soon as the sensor detects water supply has stopped the microcontroller is notified of the dry run condition. The system now notifies the user that it has shut down the motor on noticing dry run condition.